Happy holidays and New Years everyone! I hope you are enjoying this much needed time with friends and family. On this particular episode, I took a brief trip to London to visit some friends and see some art. While there, I had the chance to chat with Ariel René Jackson. Ariel is currently pursuing her MFA at UT Austin, but was able to spend a semester studying in London at the Royal College of Art. Ariel and I first met while Ariel was visiting Berlin. Both of us presented a snippet of our work at Das Kapital, a bar in Neukölln. Ariel and I bonded over being the only people of color in that space, which we touch upon in our conversation. 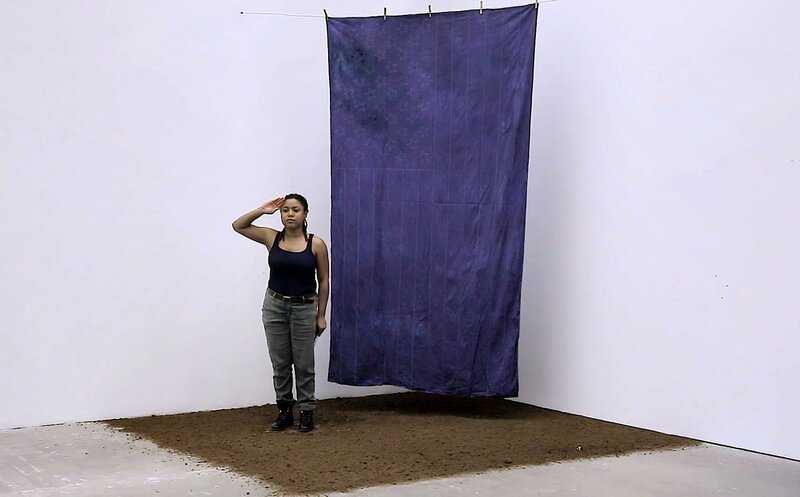 Ariel’s work uses installations and videos to situate her practice into ideas of spatial matters as black matters, while understanding landscape as palimpsest, something reused or altered but still bearing visible traces of its earlier form. Ariel’s work has been shown in spaces such as the Studio Museum in Harlem, the DePaul Art Museum in Chicago, and the Contemporary Art Center in New Orleans. Ariel is also part of an upcoming exhibition at Sculpture Center in Long Island City. The title of the show is “Other Objects” and opens January 14th. Go ahead and check out her work if you are in the neighborhood. I had so much fun chatting with Ariel that I lost track of time and we ended up with a long interview. We discussed the presentation of violence, catering art for white people, and our thoughts on residencies. I hope you enjoy this.